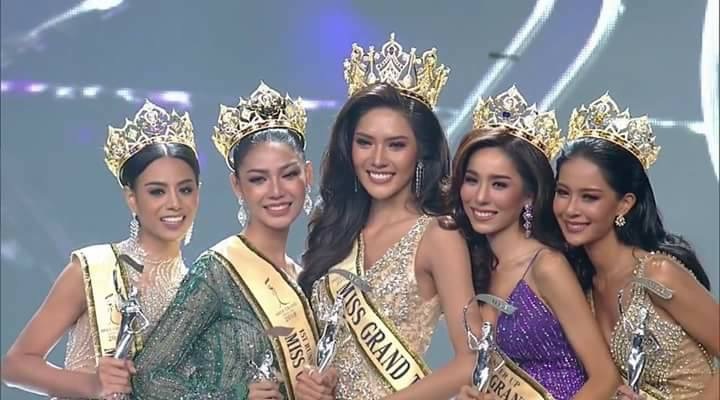 24 year old Namoey Chanaphan representing Phuket was crowned Miss Grand Thailand 2018 held during a glittering event in Bangkok last July 14. Nameoy stands 1.8m tall and defeated 76 other gorgeous delegates. She will now represent Thailand at Miss Grand International 2018 in Myanmar on October 25. Jukjick Jirachaya from Nakon Pathom and Aink Ingchanok from Sakon Nakhon were the first and second runners-up. The third runner-up was Biw Nantapak from Buriram and the fourth runner-up was Sa Kaeo’s Tungmay Matawee.